"Recently", (that's my blog talk for...."I'm three a few weeks behind"), my girlfriend, Alyce (pronounced a-lease), was celebrating her birthday. As luck would have it, her husband was going to be "hunting" (she calls it sleeping) with the guys and her parents were out of town. I told her I could hang out with her on her birthday and was thrilled when she said she wanted to spend her day at Birch Run shopping!! She also decided she wanted to have breakfast at "Tony's". Hilarious!! I had only been to Tony's once more than ten years ago, but if you have been there, you don't forget it! Their "gimmick" is overly generous portions, a/k/a way too much food. 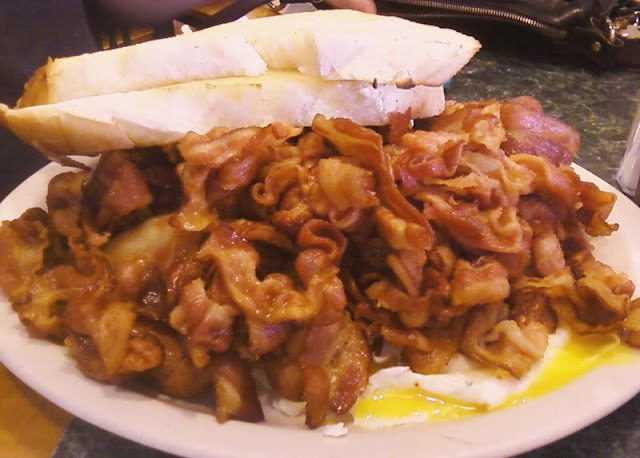 It seems particularly noticeable if you order something with bacon -- which we did! 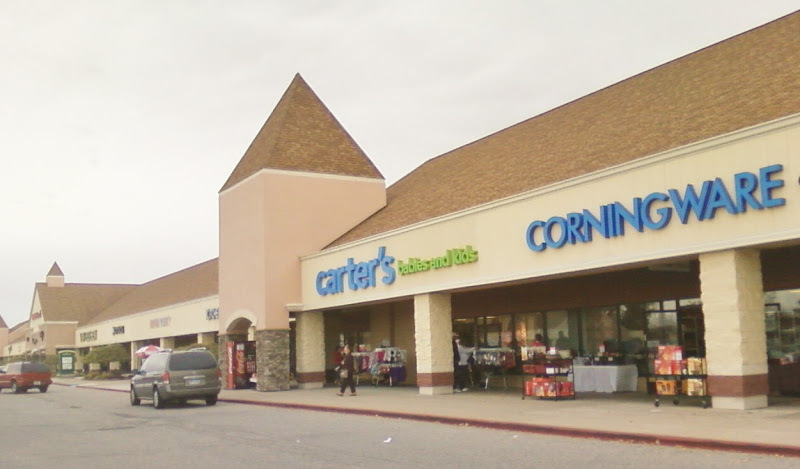 Ultimately, it was a waste of food since we did not want to deal with any carryouts since we would be shopping all day. However, check out my omelet and Alyce's bacon and eggs!! This was probably the best Birch Run outlet shopping trip I have had in awhile. Here's why... Normally, Birch Run tends to be a place we stop on our way home from any particular trip "up north" as we say in Michigan. As you can imagine, this usually means people are tired, crabby, and anxious to get home. It also often means the car is loaded with "stuff". This, however, was different. No begging the husband to let you "run in" to Pottery Barn while he honks the horn because you are taking too long! (OK, that may be a slight exaggeration, but only slight.) We only went to the stores we wanted to go to. No time constraints. If we went our separate ways, it was only temporary and completely understandable. No kids were begging for "things". No husband "heavy sighing". It was all in all very pleasant and, as a bonus, I got a good start on my Christmas shopping -- a rare occurrence in the month of October (early October at that!). Some of my favorites were: Adidas, American Eagle, The North Face, Under Armour, Nike, Pottery Barn, Pepperidge Farm, Lenox, and Bath & Body Works. I can't tell you all of my deals, as some of my readers may be recipients of my purchases. However, there were deals to be had, and I would expect plenty more as we get closer to the holidays! Alyce is fun to shop with as she works in "fashion and design" and she just "knows things"!! We ended up shopping through lunch and only stopped for a quick drink (no, not the cocktail kind). It was getting late, so instead of driving home during rush hour traffic, I suggested we head into Frankenmuth and take advantage of the quick cafe style restaurant at Zehnders where you can just get a small taste of their "World Famous" chicken dinners. It was sooooo funny, we had just sat down and Alyce was talking about how her parents were probably on their way down from "up north". In the same breath she shouts out "Dad! Dad!" -- her parents were in the gift shop and ended up joining us for dinner!! (I told you people stop there on their way home from "up north".) A happy ending -- they got to see their daughter on her birthday afterall!!! We had so much fun, we think we are going to do it again before Christmas! You may recall we took my dad to Frankenmuth for his birthday last year. It's a tradition for many families around here!! Have you ever been to Frankenmuth or do you have a family tradition of going there?? 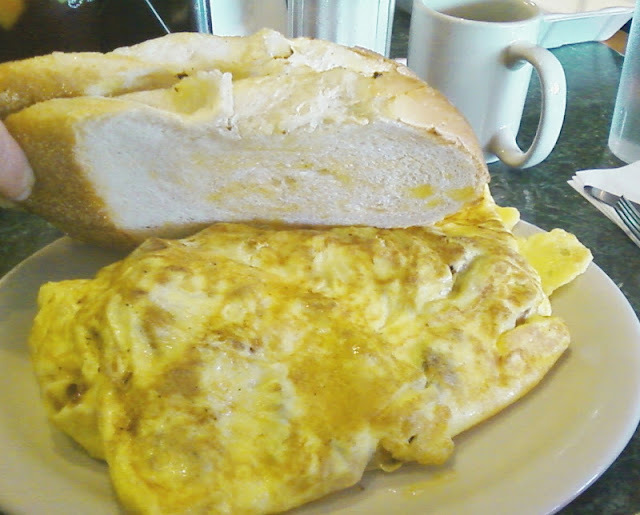 My omlette and toast (which was even bigger than it looks)! Ahhhh, outlet shopping. A fun pastime!! Loved the verlander comment. Go your mom/aka Aunt Mary! I barely could of come up with that, as I don't follow baseball (gasp). Loved the Tony's pics. Shared with Jon. We sure do love that exit! I would love to go to PB without the sighs. So jealous! Look for Less...and Fall Mantel!!! !